Wow. I literally became addicted to this book. I read for hours and hours. I finished Wake a little before lunch and was done with Fade before I went to bed. I just couldn't stop reading. As I said in my review of the first book in this series, Wake, McMann's writing style is different from most. Concise yet powerful, her words bring life to a story that was just begging to be told. It took me a little while to get used to her writing, but the story was so brilliant that I didn't mind. In a way, McMann's language is very appropriate for this story. I loved how unique McMann's idea was. Being a fly on the wall in someone else's dream? I'd never heard of something like that before. Not only did I like the idea, but I was also impressed by how McMann portrayed it. It wasn't a gift, really. It was more a curse, and the reader slowly begins to see how Janie's ability takes its toll on her. It's almost painful to watch. Fade took me on an emotional roller coaster. I cringed, shuddered, squealed, and laughed as I followed Janie's story. That's the true reason that this book deserves five stars. By the time I finished the book, I was exhausted. To be able to capture a reader's heart like that, to drag a reader in and keep them captivated until the end- that's talent. Bravo, McMann! Yaaaaaaaay you read it right away, great stuff. 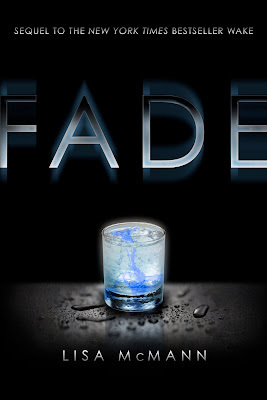 I think Wake and Fade should be read together. It is sad to see this series come to an end, I don't think the author wanted to end it either. Enjoy Gone when you get to it. I really loved this book! The whole series, actually. What I don't love is the thought of Miley Cyrus playing the part of Janie in Wake. I dont even read wake yet.but really, i have to get my hands on this! This book really was an emotional roller coaster. I was especially sad for Janie with everything she had to go through. I haven't read Gone yet, so if you do I can't wait to see what you think of it.